High Impact Roofing & Exteriors is your local expert for all of your residential, HOA, or commercial roofing and related needs. We understand the importance of a roof that consistently performs, and we are happy to help with new or replacement roof installation and repairs. Furthermore, we specialize in insurance claims. Our property damage consultants work closely with your insurance company to make sure you always have a construction expert representing you through the design and construction process. All of our employees are fully licensed to carry out work necessary. And their friendly, caring attitudes will put you at ease throughout! Our aim is an efficient and effective completion of the project at hand, and we are always here to answer any questions along the way. Take a look around and see what our talented contractors can do for you, or contact us today to schedule your free estimate! We proudly serve Arvada, Louisville, Parker, and nearby! "It was great to have another expert opinion when dealing with my insurance..."
"Our house looks great! Thank you!" "Your know how to please your customer with attention and quality of..."
"Got all the work done-replaced roof,gutters and painted house in a timely..."
"Our Project Manager, Dave Newell, was always cheerful, professional, and..."
Our Project Manager, Dave Newell, was always cheerful, professional, and helpful. He took care of working with our insurance, when there were items discovered during tear-off of the roof, that needed to be covered in order to be in compliance with current codes. The crew that did the actual work were professional, fast, thorough, and took extra care to ensure the surrounding area of our home was not impacted by the very large job. We couldn't be more pleased with this entire experience, thank you High Impact, LLC, so very glad we found you!! "I was impressed with the way my re-roofing job was handled and have..."
I was impressed with the way my re-roofing job was handled and have already recommended High Impact to a friend. "The above is based on our confidence the work will be performed as we are..."
The above is based on our confidence the work will be performed as we are sure it will be. Replacing a roof is a big investment. When it's time for a new roof, we can provide a worry-free installation. We can repair all damage caused by hail and other severe weather. Weather can take a toll on the exterior of your home. Stay protected with quality siding. Your roof is meant to last a few decades, but there's bound to be some wear and tear. We can tend to that! If have leaks, rot, damaged shingles, or any other issues, our roof repair services can solve the problem! We provide free evaluations and estimates for all of our roofing services! Your roof is your home’s best line of defense, so guaranteeing its proper function is key. We can perform new roof installation, replacements, and repairs. We work with a large variety of roofing materials to give you the exact look you require. 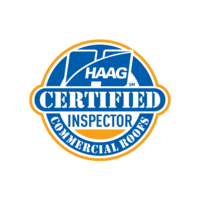 All of our products are industry-certified, giving you a high-quality roof that you’re sure to love! Furthermore, we specialize in storm damage cases and insurance claims to make your life that much less stressful. Along with our roofing services, we can also help with windows and gutters. If you have any questions, please do not hesitate to ask! The longer you wait to start work on your roof, the more money you’re destined to spend in the long run to repair the damage. High Impact Roofing & Exteriors is here to prevent that from happening! With all of our services and guarantees in place, there’s simply no reason to avoid roof repair. High Impact Roofing & Exteriors is locally owned and operated and dedicated to our relationship with our customers. We service residents and businesses in the following cities: Arvada, Parker, Louisville, Denver, Aurora, Littleton, Thornton, Morrison, Monument, Lone Tree. Call us at 1-720-515-4672 or contact us online today to schedule your inspection and free cost estimate! We will set up a time that is convenient and works best for you.